Competition in Thailand's drinks industry is expected to heat up this summer, with producers set to inject as much as 4 billion baht into marketing campaigns to grab a share of the 157-billion-baht market. Makers of soft drinks, energy drinks, ready-to-drink green tea and drinking water began launching their marketing campaigns two weeks ago, ahead of the hot season that normally begins in March. The big names include Oishi, Ichitan, Tipco fruit juice, Singha drinking water, Sponsor, Carabao Dang, Est cola and Pepsi. Campaigns include giving away passenger cars, gold, a trip with Korean boy band Got7 and a chance to watch a football match in Britain. As in most markets, drinks sales in Thailand peak during the hot season. At present, the market for carbonated soft drinks is estimated to be worth 50-51 billion baht, followed by drinking water (34 billion), ready-to-drink green tea (15 billion) and fruit juice (14 billion). 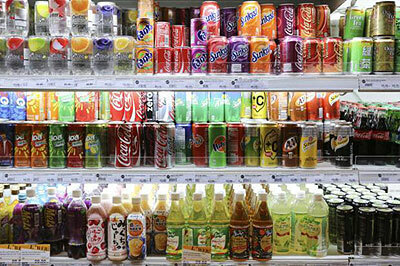 The rest is spread out among other categories such as functional drinks and herbal drinks.